General Motors has announced plans to recall certain Saturn and Saab vehicles as part of a wider recall of over 5 million cars with potentially-defective airbag inflators produced by Takata Corporation. The defect: affected vehicles have airbags with potentially-defective Takata PSDI-5 front driver-side airbag inflators. Upon deployment of the driver’s frontal air bag, excessive internal pressure may cause the inflator to rupture. The hazards: in the event of a crash necessitating deployment of the driver’s frontal air bag, the inflator could rupture with metal fragments striking the driver or other occupants resulting in serious injury or death. Injuries or deaths: no injuries, deaths, or inadvertent airbag ruptures in these have vehicles have been reported. However, at least 10 deaths have been linked to Takata airbags, all but one of them in a vehicle from Honda. The fix: GM will notify owners, and dealers will replace the driver’s frontal air bag inflator on Saab 9-3 and 9-5 vehicles and will replace the driver’s frontal airbag module on Saturn Astra vehicles, free of charge. GM has not yet provided a notification schedule. Owners should: customers looking to find out if their vehicle is included in this Saturn and Saab recall should visit recalls.gm.com. There, owners will be able to enter their Vehicle Identification Number (VIN) to see any open recalls as well as customer satisfaction programs. If the vehicle is part of the recall, customers should take it to a General Motors dealer. Owners can also contact Saturn or Saab customer service with questions by using the following information. In January, Takata announced that inflators in over 5 million vehicles were defective, and that these vehicles should be recalled. The issue spans the industry, as just last week, German carmakers Volkswagen AG, Daimler AG and BMW each recalled about 850,000 vehicles with the same inflator as the vehicles in the GM recall. General Motors owned Saturn and Saab in the run-up to its 2009 bankruptcy, after which it shuttered the Saturn brand and sold Saab. Classy move on GM’s behalf covering the 9-3 2011 MY. Legally they’re under no obligation to do so, unlike the 9-5, as the 9-3 was built by Saab-Spyker that year. Theoretically a 2011 9-3 owner was supposed to turn to Saab Parts, which could have required owners to pay out of pocket. Case in point, a Saab 9-3 2011 seat, from Saab Parts, now costs around $2,000. Don’t believe me? Look it up. Yupp, that’s spot on Christopher. GM technically (legally) no longer bears responsibility for these cars. But they’re taking care of them anyway. Good move on their end. Thanks Tyler. Saab it is. Fixed. So first they kill a great car brand and then they offer some stinking airbag. That’s “classy”?! I read your blog post called “General Motors Recalls 200,000 Units Of Saturn Astra, Saab 9-3 And 9-5 Over Defective Takata Airbag inhalators. The defect: affected vehicles have airbags with potentially-defective Takata PSDI-5 front driver-side airbag inflators. Upon deployment of the driver’s frontal air bag, excessive internal pressure may cause the inflator to rupture. I read your blog post titled “General Motors Recalls 200,000 Units Of Saturn Astra, Saab 9-3 And 9-5 Over Defective Takata Airbag Inflators”. General Motors has announced plans to recall certain Saturn and Saab vehicles as part of a wider recall of over 5 million cars with potentially-defective airbag inflators produced by Takata Corporation according to your blog post. 7 months later, Saturn still giving me the runaround that no parts are available to perform the recall. Has anyone had this recall performed yet?? I’ve heard there are still backorders. Best thing you can do is make sure your dealer has you on the waitlist and is checking part status every week or two. 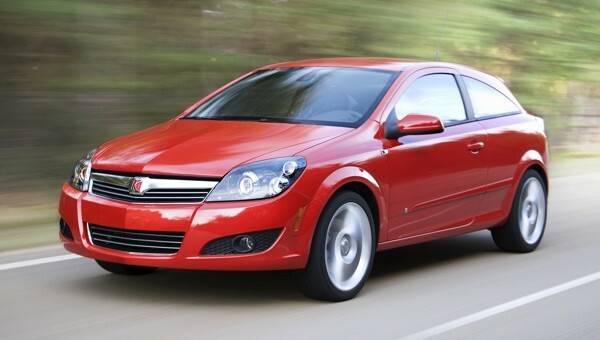 The last I heard, GM was still waiting for parts for the Saturn Astra, and I would be notified. Apparently, there is also a recall on the Saturn Astra horn being defective, and it was suggested I wait on that until airbag parts were available. Windshield wipers are also erratic, so maybe there is some connection with the horn malfunction? I’m sure these problems affect the resale value of the car, and I could not, in good conscience, sell it to someone else before it was fixed. I sent an email to our local Fox31 investigative reporter in Denver, to see if I could spark some interest in this problem, but never got a response. It seems that, due to the text of the original recall letter, that serious injury or death could result upon deployment of the airbag, it would be imperative for GM to demand that Takata supply the parts immediately, in the interest of all those affected. I have 2008 Astra and still waiting for the airbag replacement. Since the Saturn Astra is based from the Opel Astra in Europe, do those cars suffer from the same problem. If not, then you would think they would have the parts by now. I am frustrated and will never buy another GM product in my life. It appears they affect Opel too, yes. The US-developed Epsilon platform cars (Malibu, G6), do not use the same airbag – but it appears Saturn kept the Opel airbag, which was made by Takata. Oh, and don’t blame GM for this. Takata sold airbags to most auto makers, and all are having chronic wait times. It isn’t a GM thing, it’s an industry thing. GM, being the powerful company that they are, could still exert pressure on Takata to provide replacements for all their automobiles, and, perhaps the other affected automakers would follow suit. Since I made my initial comment in October of this year, there was a woman in Riverside, CA that was killed, due to an airbag malfunction in, I believe, a Honda. Takata and any auto maker that used Takata airbags should be committed to solving this problem before any more lives are lost. It’s not that simple. For GM to put a different airbag in, the car would have to be recertified. That would take several months (longer than the backlog itself), and Takata is already at maximum production. If there was a way to do this faster, within the law, they would. But any solution would involve steps that would take longer than waiting for Takata to simply ship the airbags that are on backlog. Keep in mind that since everyone in the industry (pretty much) bought airbags from Takata, it would be unfair for GM to demand that they can cut to the front of the line – and in any event, Takata probably wouldn’t honor it. I made no mention of a different airbag, or GM cutting to the front of the line. I am encouraging GM and other automakers affected by this recall to put added pressure on Takata to fix the airbag problem. I presume they can improve the airbag that is specific to each make of automobile, and provide it to the dealers so we can all get our vehicles repaired before more people are injured or killed. I think all the affected automobile producers have a moral and ethical obligation to do this. It shouldn’t be taking almost a year to solve this issue. It doesn’t seem to be much of a priority, however. The fix is to build the airbag properly. Which is what GM is doing right now, pressuring Takata to build at maximum production. Any idea on their timeline?